I’m excited to be working with some ex students and current colleagues preparing new chapters for my analysis book, Listening Beyond Hearing. 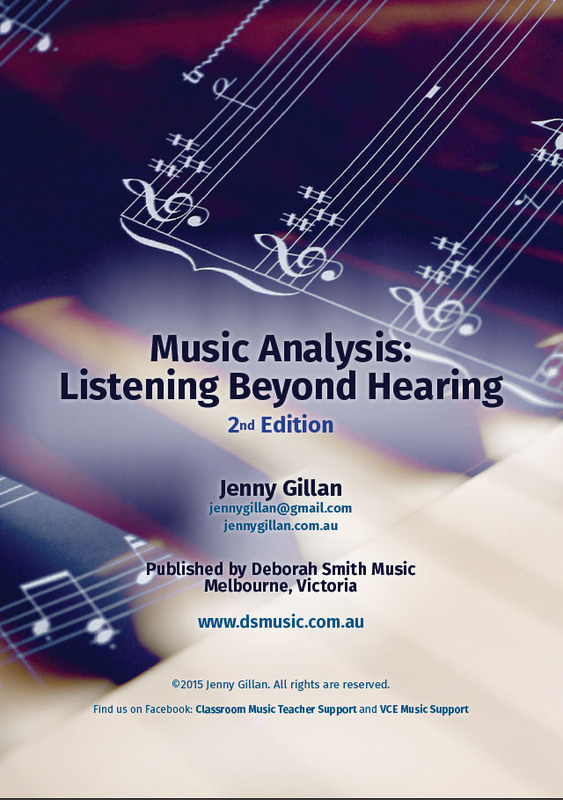 I am currently in the process of collating and editing sample harmonic analysis from my past Victorian College of the Arts Secondary School VCE students; Andre Sasalu, Jessie Eastwood, Miles Johnston and Jem Sherwill. In addition, I have new compositions that demonstrate different types of harmony and different styles. These range from atonal harmony and chromaticism to drone, alberti bass and arpeggiation. The challenge I set for Tim Mallis and Mateusz Gwizdalla, my talented composers, was to write a single melody and accompany it using many different approaches to harmony. They’ve come up with some great examples that show how harmony can affect character. As always, I’m blessed to be working with some very talented people. It’s an exciting process. IN ADDITION to this work, I’m compiling a video for use with the current Texture chapter of “Listening Beyond Hearing”. The musical examples that demonstrate each texture were composed for me by Mateusz Gwizdalla but until now were just visual examples. I am in the process of editing these and making them available for demonstration in a classroom setting. Having used them with my year twelve students I can attest to how powerful teaching in this way is. Hearing the examples and seeing how different one melody can sound using different textures really enhanced their understanding of the subject.